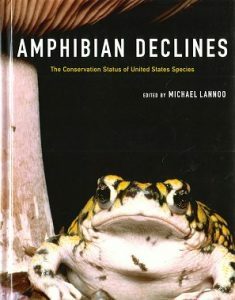 Amphibian declines: the conservation status of United States species. This title is not held in stock but we are happy to supply on special order. Please contact us. The first part of this work consists of more than fifty essays covering topics from the causes of declines to conservation, surveys and monitoring, and education. The second part consists of species accounts describing the life history and natural history of every known amphibian species in the United States. The Baja California peninsula is home to many forms of life found nowhere else on earth. This, combined with the peninsula’s rugged and inaccessible terrain, has made the area one of the last true biological frontiers of North America. L. Lee Grismer is not only the foremost authority on the amphibians and reptiles of Baja California, but also an outstanding photographer. He has produced the most comprehensive work on the herpetofauna of the peninsula and its islands ever published. With its stunning color images, detailed accounts of many little-known species, and descriptions of the region’s diverse environment, this is the definitive guide to the amphibians and reptiles of a fascinating and remote region. 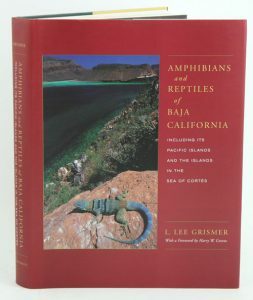 The culmination of Grismer’s quarter century of fieldwork on the Baja peninsula and his exploration of more than one hundred of its islands in the Pacific Ocean and the Sea of Cortés, this book gives information on the identification, distribution, natural history, and taxonomy of each species of amphibian and reptile found there. Preliminary accounts of the life history of many of the salamanders, frogs, toads, turtles, lizards, and snakes are reported here for the first time, and several species that were almost unknown to science are illustrated in full color. The book also contains new data on species distribution and on the effect of the isolated landscape of the peninsula and its islands on the evolutionary process. Situated at the junction of four major physiographic divisions of North America, Texas provides many varied habitats for amphibians and reptiles. In this new edition of Amphibians and Reptiles of Texas, James R. Dixon adds to and updates the extensive information given in the highly valued first edition published in 1987. 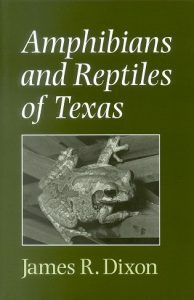 The many helpful features of this book include an updated listing of the literature on Texas amphibians and reptiles and a brief history of important herpetological publications, investigators, and authors. This volume covers more than 150 years of inquiry and is testimony to the careers of many distinguished herpetologists, including French botanist Jean Louis Berlandier, who encountered Texas herpetofauna during his travels from 1828 to 1834. More than 150 maps show the distribution records for Texas herpetofauna. The book also contains an identification key supplemented by drawings, photographs, a glossary, and scientific and common names to aid both professional and amateur herpetologists. For this new edition Dixon has added a section on conservation issues that highlights the threats to the continued survival of amphibians and reptiles, particularly commercial collecting and habitat destruction. Herpetologists, environmentalists, wildlife specialists, and all those who love the outdoors will find this guide invaluable for identifying and understanding the species they encounter. 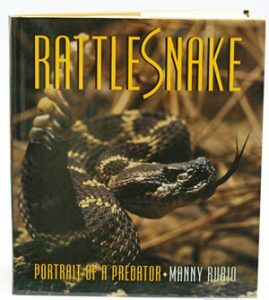 Rattlesnake: portrait of a predator. Traces the evolution and behaviour of the more than eighty living species and subspecies of rattlesnakes in North and South America. Rattlesnakes: their habits, life histories, and influence on Mankind. First published in 1956, this is a natural history classic. 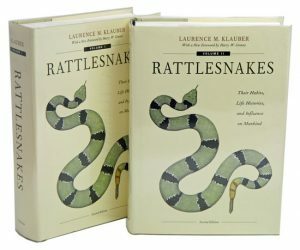 With a new foreword by Harry W. Greene and updated rattlesnake taxonomy.